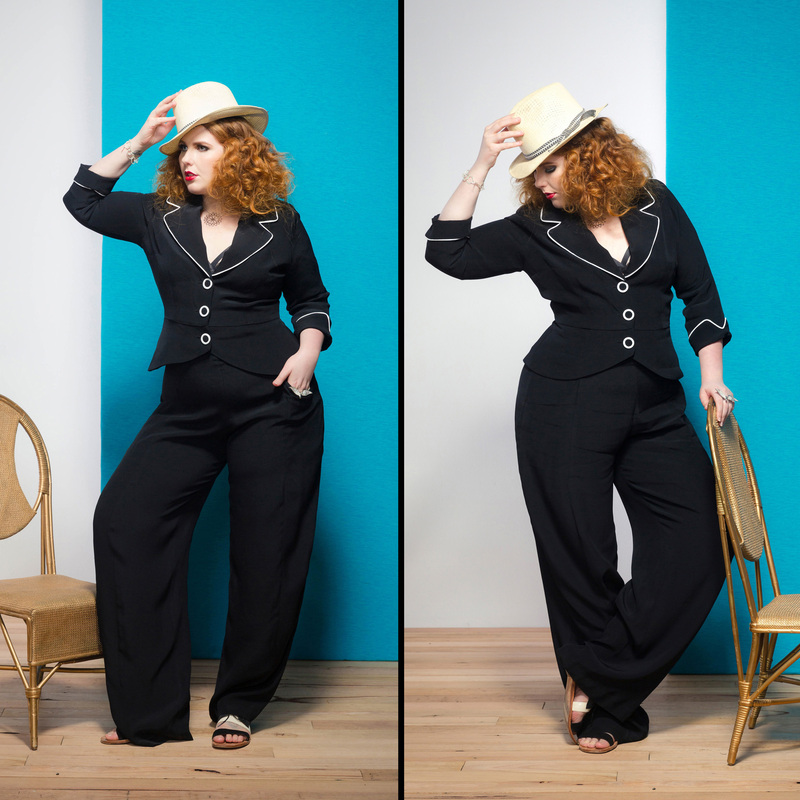 Suzie is channeling Faye Dunaway in 1970s gangster flick Bonnie and Clyde in the Dunaway Jacket in BLACK/porcelain & Merivale Palazzo Pants in BLACK. The fully lined Dunaway Jacket is made from a luxurious viscose and features contrast piping, cuffed three-quarter sleeves, vintage inspired buttons and a perky peplum. SOLD OUT in this colour combo, but other jackets available. The matching Merivale Palazzo Pants are high-waisted with wide softly draped legs and deep front pockets. They are the perfect dressy pants for the warmer weather. Suzie is most certainly dressed for success in this stylish transeasonal suit.